How to share your baby led weaning journey - start a blog today! 25% of millennial moms start a blog. Half of them plan to start their own business. *I am an affiliate for the products and services mentioned in this post, meaning I will get a small commission if you purchase through my link, at no additional cost to you. I only recommend products that I personally use and love. Thank you! I love blogging. I was born between 1980 and 2000 and I have 2 under 2 at home, so that makes me a millennial mommy blogger. I happen to be passionate about baby nutrition, cooking and photography and that’s how this blog came to be. Me wanting to share everything I know with the rest of the world. And why not, make it a better and healthier place for our children to grow up in. If you read this article in Forbes, you’ll see that millennials’ number one reason for starting a blog is the fact that they LOVE TO SHARE. Which I have been saying in my first post in this series, the 10 reasons to share your baby led weaning experience online. So, what’s stopping you from starting your own blog? Some of them might be familiar to you if you have read my round up posts with baby led weaning recipes. Can you write on a baby led weaning blog and stay at home with the kids? Oh yes! In fact, I have been doing it while taking care of one 1 year old toddler, pregnant with my second and working full time from home 4 days a week! How about that for motivation? And no, I didn’t ignore my kid, eat takeaways or left the house to clean itself. I had help from my husband and that’s it. I don’t have a babysitter or nanny and I don’t take my kid to daycare. And one of the most important aspects: I didn’t sacrifice any sleep while I was doing it. I know some moms do this, but I only relied on nap times and the occasional moments when my husband was out and about with the toddler. Can you make an income from a blog like this? Oh, yes! I run ads on this blog and while it might not make the best user experience in the end, it brings me around 500$ a month (at the moment of writing this article). And my traffic hasn’t decreased because of the ads. You need to provide a whole lot of value for your readers to make sure they stick around. 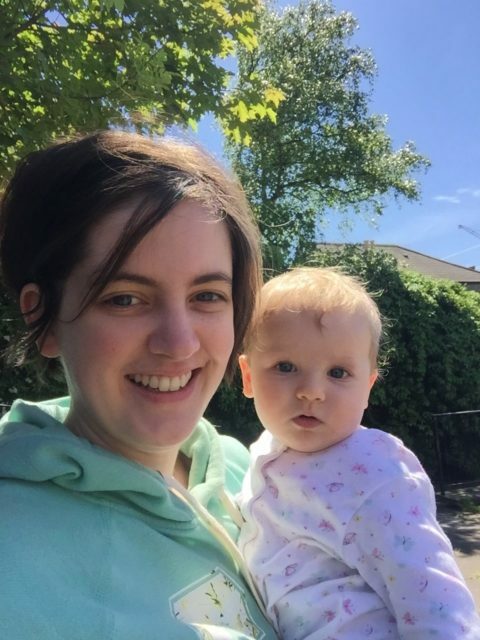 How do you make an income from a baby led weaning blog? Sounds great! So how do you start a blog about baby led weaning? What do you need to start a blog in the first place? An idea – in my case, and in the case of some of the moms that I mentioned in my 10 moms share their BLW experience post, the idea was baby led weaning. You cannot write about something if you are not at least interested in writing about it. 2. A name for your blog – in my case it is Weaningful. 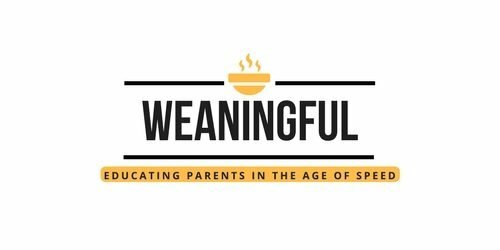 Making weaning meaningful, get it? 3. A hosting provider – in my case, this is Siteground (<—- this is an affiliate link, meaning I get a commission if you sign up through my referral). Think of this as the apartment where you live, your own personal space. 4. A domain based on your chosen name – in my case it’s weaningful.com. Think about it as the address written on the envelope. It’s where you live on the World Wide Web. I got mine from GoDaddy. 5. An interface where you write your posts – in my case, this is WordPress. Once you get your hosting set up, WordPress installation is one click away. And it’s free, already included in your hosting package. So with number 1 already sorted, let’s see how you can take care of the rest. How to come up with a name for your blog? The way I came up with mine was using an online name generator called Panabee. Coincidently, it also showed me if the .com domain was available for purchase. For example, let’s say you want your blog to have the word “weaning” in it, then if you search it on Panabee, you’ll see variations like weaningblog, getweaning, weaningsy or weaningit, which also have the respective domains available. Or if we search by “mom blog”, we get blogamom, mommblog, blogomom and the like. But you can also make it totally unique, like Confessions of a Baby Led Weaner, with the domain blwconfessions.com for example. Or you can get some inspiration from the blog examples I mentioned above. It’s totally up to you, but remember you can always change it and rebrand later. Or purchase a hosting package that allows you to host multiple domains in case you change your mind or start multiple blogs. A bit on that later. What on earth is a hosting provider? Now that you have your name and potentially your future domain figured out, you need to buy your space on the internet, where all your files and posts will live. This is called hosting and there are a ton of providers out there. To be completely honest with you, I initially set up this blog on GoDaddy hosting, but switched to Siteground recently. Why did I switch? They come highly recommended in the blogging world, their customer support is brilliant and they are based in Sofia, Bulgaria. Why do I mention this aspect? Because I trust the East Europeans with everything related to the Internet and tech (did you know Romania has the fastest average Internet speed in the world? Yeah, they know their stuff). Another aspect that made me switch over is the fact that GoDaddy plans renew at much higher annual costs than Siteground, so it only made sense to make the switch. 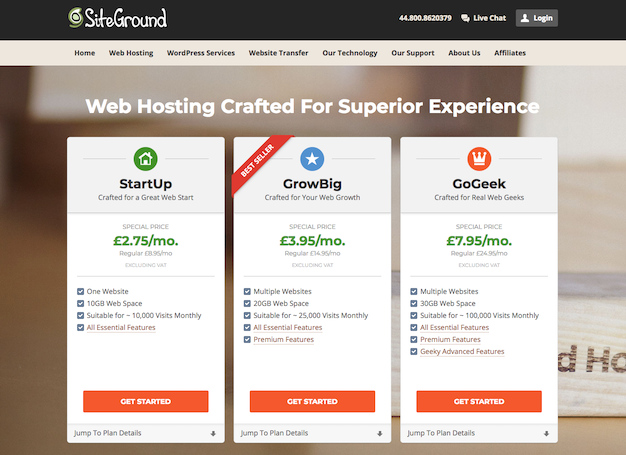 With Siteground, you can start with as little as $2.75 per month. And if you’re not tech savvy, they can set up everything for you, from start to finish, so you don’t move a muscle. 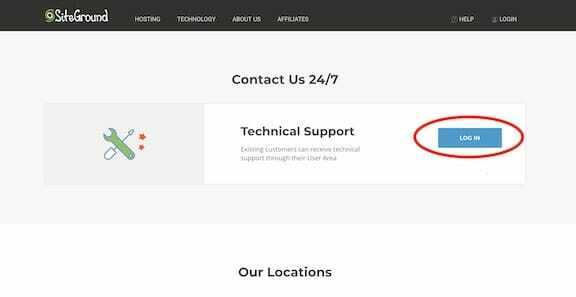 Go here and click on Log In for the Technical Support area as a new customer. If you do want to have a go at doing everything yourself, start by choosing the best plan for you on the Siteground website. Next, you’ll want to choose your domain. 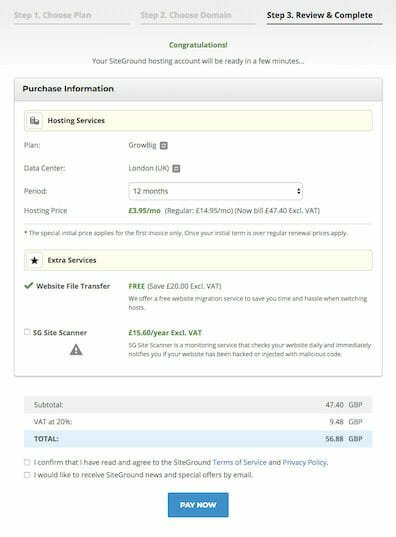 If you’ve done your research and know what is available, you can purchase it through Siteground at the same time with your hosting (Register a new domain option) or if you already have a domain purchased elsewhere you can link it to your Siteground hosting (I already have a domain option). Last step is to introduce all your personal details and payment information. Once you receive your email confirmation from Siteground, this part is done. You’ve got your hosting and domain all set up, now what? How do you install the WordPress interface to start writing? Once your hosting provider gives you the login credentials to your account, you only need to go to your CPanel under the My Accounts tab. 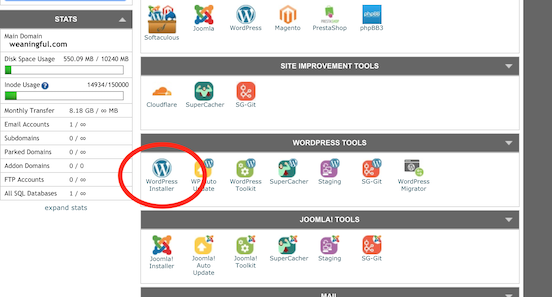 Then find the WordPress area and click on the WordPress Installer button. It won’t take long for it to install. That wasn’t so bad wasn’t it? I bet you’re doing this start a blog thing during nap time and your little one hasn’t even woken up yet. Congratulations! You can now login to your new blog dashboard by going to www.YOURDOMAIN.com/wp-admin. 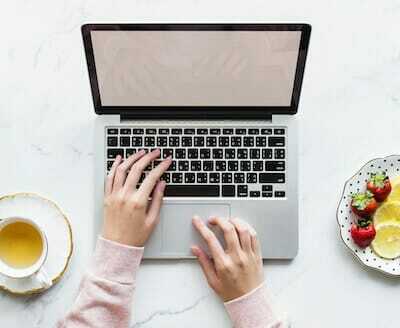 You are most likely already set up with a blog theme (the overall look of your blog), but you can always change it within WordPress itself or browse the web for free or paid themes. I am using the Kale theme, which is free. I like the minimalistic style and the way it displays the front page. This is not a blog about blogging and how to make your way up the traffic ladder. That’s why I can only suggest further resources for you to read and dive in so that you bring the right people over to your blog. Step 1: If you want the ins and outs of blogging, then The FREE 12 days Blogging Bootcamp is the best place for you to be right now. You’ll emerge a better blogger and a better person after you’ve completed it. Step 2: You need to be on Pinterest. This is where people search for baby led weaning related articles and recipes. If you’re not on Pinterest, you don’t exist. My ultimate recommendation as a Pinterest resource is Blogging Like You Mean It – Pinteresting Strategies. It is a paid course, however I purchased it when it was still an ebook and has helped me reach enough blog visitors to make money from ads. Step 3: For you to succeed on Pinterest, you need eye catching design and awesome pins! I use two tools, Canva and Stencil. While the first one is free, it comes with certain limitations. I find Stencil easier to work with and more user friendly. And if you’re wondering what makes a great pin design, have a look around Pinterest and try to replicate the looks of the pins that draw your eye. These are just the basic requirements for understanding how blogging works and how you can leverage Pinterest to bring the right traffic to your blog. Instagram is another source of great traffic if you’re willing to invest more time in it than I do. I honestly hope you’ll be on your own way once you finish reading this post. If you want to share it with others or save it for future reference, you can pin the image below.